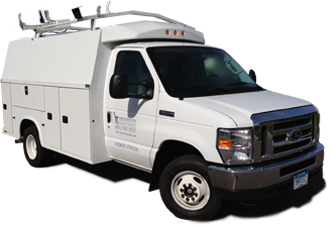 Prescription Heating & Cooling boasts professional repair or replacement of water heaters in Maplewood and neighboring climes. We work on water heaters of all shapes, sizes, varieties and brands. 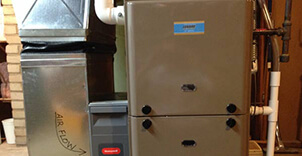 We can also help with heating systems like boilers, heat pumps and gas fireplaces. We can send an HVAC contractor to your home to troubleshoot and repair water heaters so that you are back up and running in no time. Water heaters do not produce a continual supply of heated water but the temperature varies as water is consumed, becoming cooler as flow increases. Your water heater is depended upon for so many things; cooking, cleaning, bathing, and space heating among them. A water heater not working properly can wreak havoc on a generally well ordered shower and bathing schedule within a household. Our technician will arrive promptly at your scheduled appointment time to repair or replace water heaters when called upon. A general rule with regard to the idea of “repair or replace” is that if the cost of repair or replacement of water heaters is more than the cost of replacing your water heaters, we will let you know and then, with your approval, make the necessary measurements and calculations to make sure you get a new water heaters that properly fit your home. New water heaters will never be suggested to customers if they are not in need of one. We will repair them instead, should that be the cost-effective choice. When you call us for water heaters repair or replacement, you need not be wary of surprises. You will be told exactly what needs done, how much it will run you. No matter what kind of problem you are having with your water heaters or heating system, give us a call. We can help with everything from cleaning the water heaters and changing the filters to replacing parts that are worn out or are in need of a little TLC. If you keep up with your water heaters and keep up with the necessary repairs, cleaning and maintenance, you will help to increase its life span and efficiency. Let Prescription Heating & Cooling help keep your water warm this season and beyond! Contact Us for Water Heaters near Maplewood Today! If you are looking for products or services related to water heaters near Maplewood? 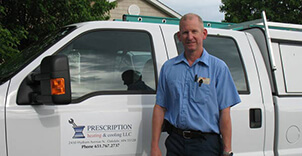 Call Prescription Heating & Cooling at 651-767-2737. You are also welcome to contact us online as well!